In the language of flowers, there are a number of blooms that symbolize the meanings of friendship and express loyalty, trust, admiration, and devotion. Yellow is the traditional color of friendship, but a collection of flowers like alstroemeria, hydrangea, roses or daisies are a thoughtful gift. 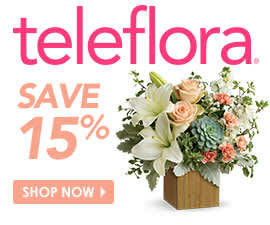 Try a gorgeous display from Teleflora, like the Basket Full of Wishes. Large yellow lilies are nestled beside gerberas, roses, button spray chrysanthemums, carnations and lovely green leaves, all presented in a brown basket with a butterfly floating above it that they can keep and reuse. This is sure to make a big impression on your new neighbors. Teleflora's Sunny Day Pitcher of Cheer bouquet arrives in a delightful yellow pitcher your new friends can keep and use as a centerpiece, a garden ornament or a vase for fresh blooms! Alstroemeria represent friendship and devotion, and are featured in this collection next to yellow gerbera daisies, roses and carnations, which are mixed with white monte cassino asters and green variegated pittosporum. This will brighten anyone's home with lots of cheer. Make your new neighbors really feel like a part of the community with an adorable bouquet from Teleflora arranged in a mini Weber grill! This wonderful King of the Grill with flowers speaks to warm evenings outside with good friends and great food. Bright buds of blue delphinium, fiery red carnations, sunny yellow viking spray chrysanthemums, blue statice, petite red miniature carnations, spiral eucalyptus and myrtle are all arranged to spill out of the grill top. Bring over a bouquet like this and your new friends are sure to invite you over for their first cookout. We all know how stressful moving can be, so bring your new neighbors a bit of luck with Teleflora's Money Tree. It's presented in a sleek and modern square black container with deerfoot moss carefully arranged around the base along with black and white rocks. With the proper care, money trees can grow big and strong, so give your new friends a living gift they can keep forever.